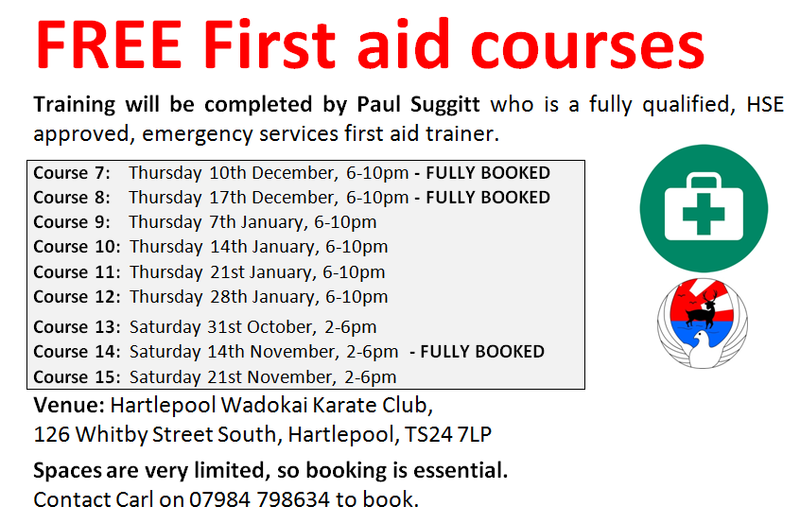 Due to unprecedented demand, there are now more dates available. These are still filling up fast. 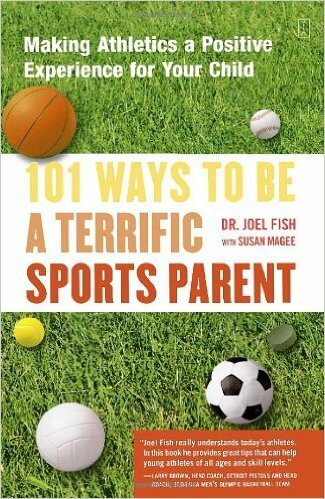 This is the most recent book that I have just finished reading, ‘101 ways to be a terrific sports parent’ by Dr Joel Fish (it can be purchased here). It’s been very informative and is highly recommended to any parent who would like to better support their child’s journey in sports. I referenced Dr Fish’ work in my sports degree so I bought this book ages ago, it’s only lately that I’ve finally got around to reading it though. As this book states, sport, especially over the past few decades has become a highly structured and organised activity, rather than kids just playing games. There is an argument that because ‘sport’ takes up so much of a parent’s time (and money), they in return expect much more as a result. Similarly, I read an article the other day (I can’t remember where, if/when I come across it again I’ll post the link) that said that basically, because of the widespread availability of contraception, people are now able choose when they have children. As this is a decision that has often been made by the parents, rather than something that just happens, they want the experience of being a parent to be as great/worthwhile/rewarding as it can be, rather than a more ‘free range’ parenting style of previous generations. Anyway, I feel like I’ve learned quite a bit from this book, and it’s given me a better appreciation of our students, in particular our elite athletes. We live in a very interesting time for sport, it takes up much more of our time and effort. There are also record numbers of children involved in sport, at all levels. The flip side of this is that there are also record numbers of children dropping out of sport, especially teenagers. Dr Fish points to research that suggests that kids are dropping out because they’re not having fun, and that kids now feel too much pressure to win. Parents are arguably the number 1 factor in a child enjoying their sporting experience or not. I believe that the first chapter is the most important. It explains why parents are the most important influence in a child’s sporting journey and asks or challenges parent’s to be more aware of their own motivations and how they directly and indirectly influence their child through word or deed. Parent’s (& other coaches) should definitely read the entire book, but here are a few takeaway points that I’ve witnessed either with our own students/parents, or at competitions that I’ve helped officiate at. it’s hard for a parent not to try and solve your child’s problems, but kids need a cheerleader and support. They don’t need to hear from you that they should have used a reverse punch instead of a roundhouse kick to win. They have a coach to give them the relevant technical feedback. .
Too many kids are getting pressure rather than love. ‘Pressure to win, pressure to excel… pressure to make mom and dad proud’. We as coaches try to instil a ‘try to win’ and ‘want to win’ mindset into our athletes. But we try to do this in a way that isn’t focussed on winning to the detriment of everything else. It’s worth noting that in a typical Karate competition, only four athletes per category will take home a medal. The Karate competition system that we use is imperfect, even when using repêchage it doesn’t necessarily mean that the ‘best’ four are the ones who get the medals. e.g. you could have all the strong competitors in the top half of the draw, and all the weaker ones in the bottom, purely by chance. Through the rounds you would end up with two ‘weaker’ athletes taking home a silver and bronze medal. If parents and athletes are only focussed on winning, they could easily perform very well, but lose heart (and ultimately drop out of the sport altogether), purely through the ‘luck of the competition draw’. find yourself talking more about your child’s sport than your child. are highly critical of your child’s coach. constantly tell your child to practise more. seem more emotionally invested in the sport than your child (i.e., you get more upset than he or she does about a lost match or performance mistakes). get a great deal of status and prestige from your child’s athletic accomplishments. believe that if your child just tried harder he or she could be successful at sports. aren’t hearing what you’re child is telling you. Handling pressure situations is a life skill, and parents can help guide their children through it, using sport as the tool. There are many reasons for not winning a particular match, on a particular day. What we’re aiming for at the club is excellence, not perfection. Parents are better positioned to see burnout in their children than coaches. This is an important consideration for year round sports like Karate. Watch for things like over training, not having as much fun as they once did, expects too much from themselves, feels under pressure. Consider having a ‘season’ off, whether the child wants it or not. e.g. you might decide that your child will not compete in Winter (Dec-Feb: this is something that most club athletes do anyway). Be careful about how you talk about the club/coach/officials/other athletes/other clubs, especially when around your child. Always be respectful or you could undermine your child’s desire to take part in sport altogether, or even undermine their faith in their coach or the match officials. It doesn’t help any one. If you need to vent, do it in private. Advocate for your child, but set limits. Try to teach your child to talk to the coach directly. Parent’s shouldn’t be calling the coach after every session/competition for a ‘debrief’. Teach your children how to resolve conflict themselves, rather than getting involved when they fall out with team mates. Help teach your child how to deal with the perfectly natural feelings of jealously. We weren’t all born with the same athletic talents, the same intellect or the same good looks (..or whatever), in Karate it’s worth remembering that two children who may start training at the same time, are very unlikely to grade at the same rate throughout their Karate journey, and in the grand scheme of things, the belt colour, or how many shiny medals someone has is completely unimportant. Parents have a role to play in helping children overcome these feelings and ensuring it doesn’t harm their own personal development. This is one section in particular that parents should read carefully. We’ve seen instances where athletes have used ‘injury’ to opt out of events. Adults do it all the time, ‘I can’t go to the gym today because I’ve erm… hurt my leg’. Usually there is something underlying, parents can help their children cope with the pressure of competition and dealing with any fear they may have of entering specific events, or coming up against certain opponents. 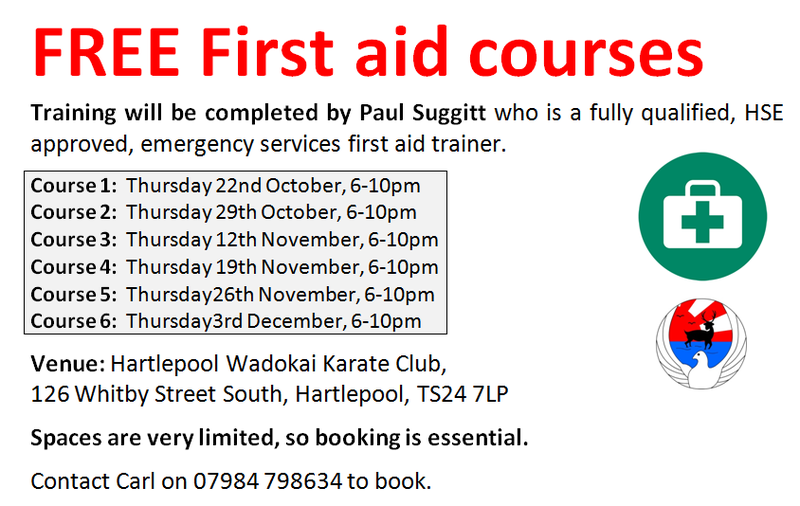 It’s important to seek medical advice when appropriate and to avoid any training that will aggravate any injury. No competition or grading is ever worth becoming seriously hurt. There are some interesting chapters covering family issues, sibling rivalry, self esteem and quitting sport that I haven’t even touched on. I could go on writing to try and do these sections justice but I’d probably be breaching copy-write rules. This is a useful resource for parents to help guide their children so again, I urge you to read the full book. The book I’m now reading is Positive Pushing (Taylor, 2002). Yesterday we had our Autumn Club only championships. This was the biggest club competition we’ve had in recent years with 52 students entered, and 96 individual competitor entries. The students were given a short warm up by Sensei Amy before we started the 3 Kata events. Following Kata was the Kick master, this is where the students attack a free standing kick bag for 30 seconds, they need to show off their punches and kicks and the person that performs the best goes through to the next round. The 10-12 years MALE kumite event was my personal favourite, because it had some edge of your seat matches, there are some very strong fighters coming through. It’s always great to see the beginners getting on the mat for the very first time too, how they learn to cope with the pressure of performance, and it’s even better when they can walk off the mat, win or lose with a smile on their face because they’ve given it everything they could. All in all, it was a good day. The students got some valuable competition experience, with many competing for the very first time. From an organisational perspective, we will be sticking to awarding medals after each event from now on, saves time rounding up students later on. In 2016 we will be running 3 club only championships (February, June/July, October) so we ask for your support in them – the dates will be in the next club newsletter. Those who perform in the club only events should consider entering bigger and more challenging events. Next year the club will also be running the North East Open Championships (20th March, Dolphin Centre, Darlington), and a big event in November. 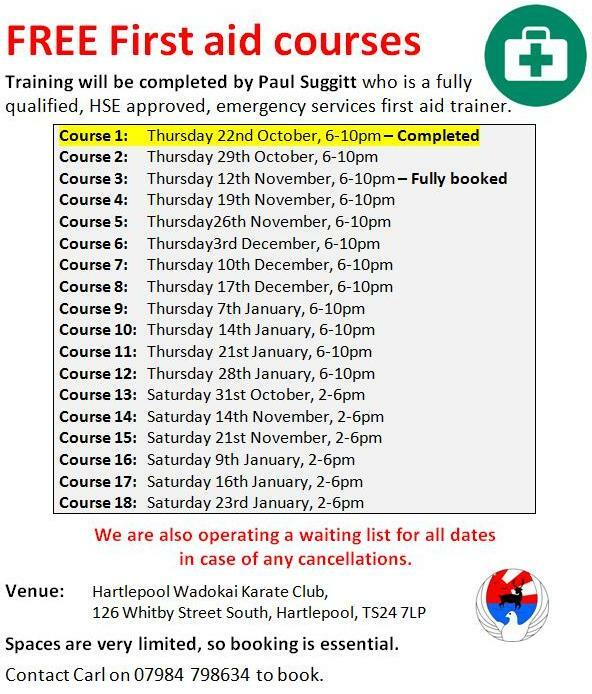 Additionally students may be selected by Sensei Amy to train with the Hartlepool Wadokai Squad, attend Wadokai England sessions and/or English Karate Federation (all style) sessions. 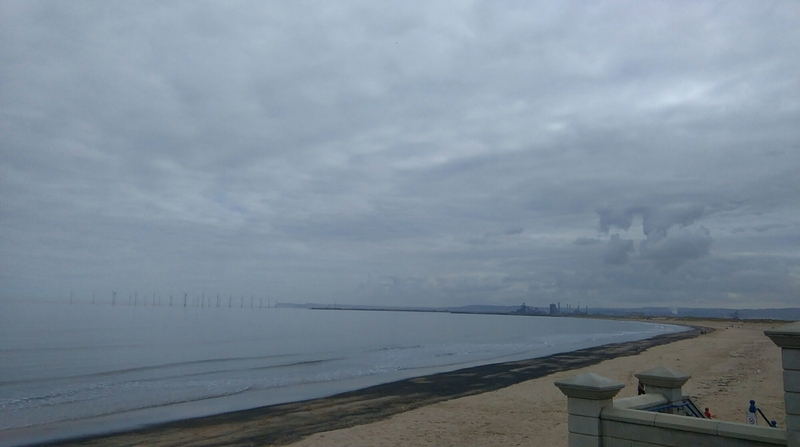 Thank you to Lynne, Michael, Amy and Roy for helping with judging and the volunteers for helping to set up, clean up and man the tables through the event. Thank you especially to the students who accepted the challenge and entered the competition, and your good sportsmanship throughout. Finally, thank you to the parents and supporters who encouraged and comforted the students before, during and after the events. 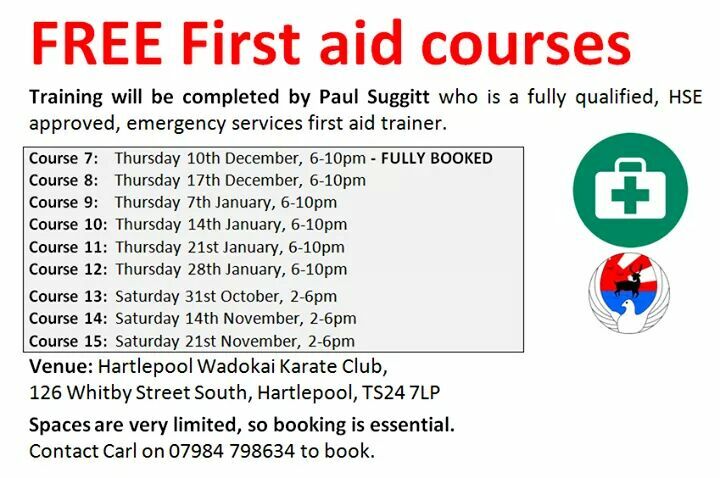 It can be a real nerve wracking experience and the parents have a vital role to play in ensuring that Karate competition (whether students win or lose) are positive experiences. From personal experience, my most memorable fights and best performances weren’t neccesarily the ones I won. 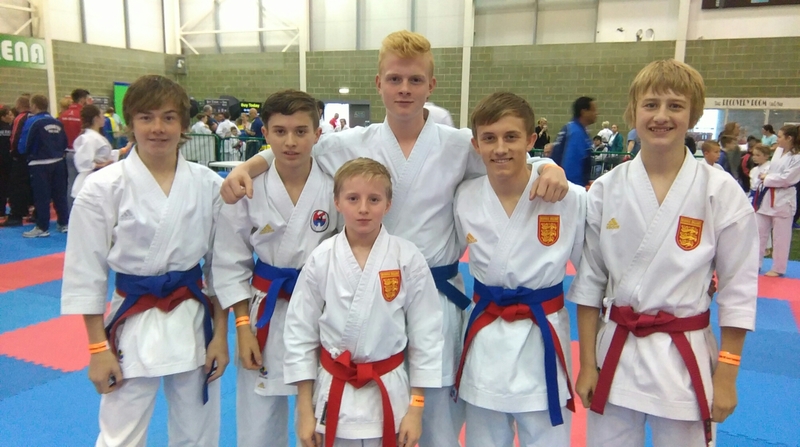 All six of our squad guys headed to the Wado-UK championships in Hull last Sunday. The competition was really well organised and ran exceptionally well (especially Tatami 5, which Sensei Carl was helping judge on 🙂 ), meaning we were done and dusted by about 4.30pm. It also had a nice and relaxed atmosphere, with Steve being the best tannoy guy I’ve heard… The entry numbers have been bigger but many of the categories had a really good mix of novice through to elite level athletes in, it was just unfortunate if you got an elite guy in round one (Paul in Kata). All six guys had a good day, with very strong performances in Kata and Kumite. We also managed to get video footage of almost every performance too, so we were able to analyse them at the Monday competition class. We’ve had more medals from different competitions and it’s always nice to be rewarded for good performances with medals, but I think it’s more important to keep challenging yourself as an athlete, keep entering bigger and tougher events so that you’re always improving. It might not massage the ego quite the same but at least real progress is made. That being said, we did achieve some medal placings, and could have had more if fights went slightly different, or if the odd flag was the other way. That’s the way it goes, guys just need to keep sharpening their Kata technique and working in their Kumite ring craft and tactics. 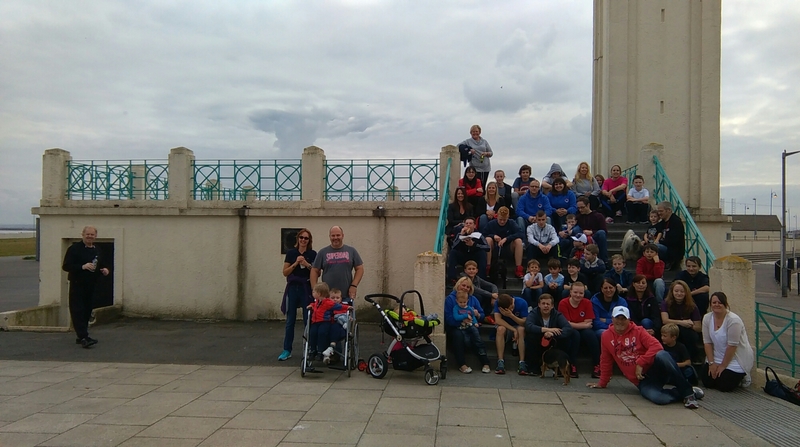 Last weekend we had our annual sponsored walk. This is our main fundraising event of the year so it’s very important that we get the support of the students and their families. 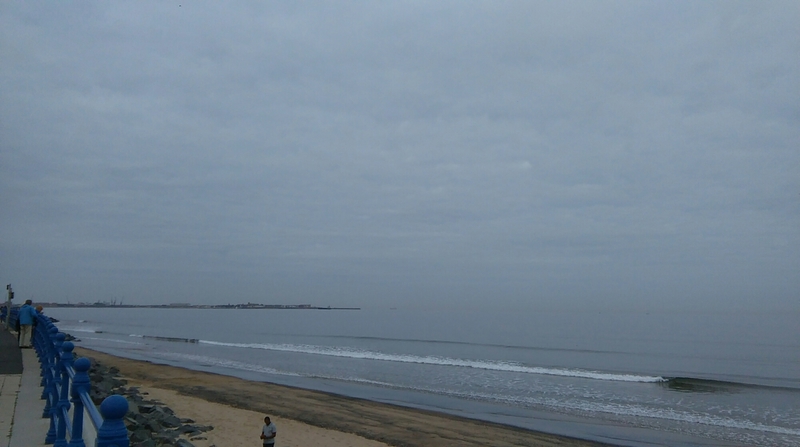 The weather was very kind whilst we walked from the dojo, along the promenade to Seaton, and then back again. 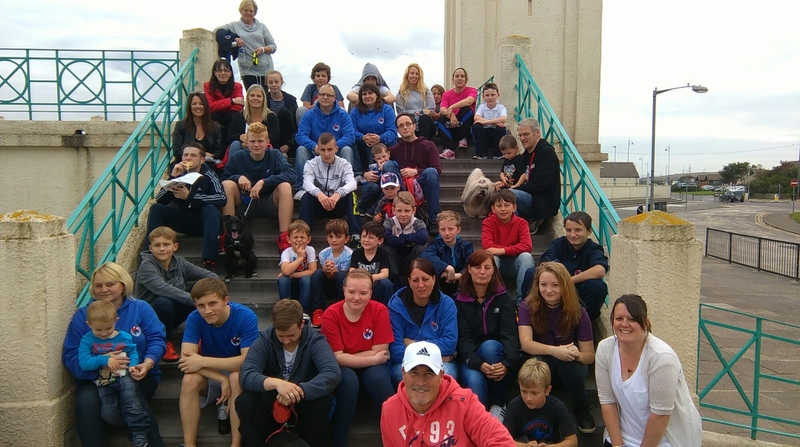 We had a good turnout and it was great to see so many of the Little Ninjas on the walk too. After the walk we had a bit of a social at the dojo, with cakes for sale and a raffle, all contributions going to the fundraising pot. On behalf of the club I’d like to say a massive thank you to everyone who went on the walk, and everyone who made cakes for afterwards too. Any funds allow us to replace and but new equipment for the club, and subsidies courses, competitions and travelling. So please ensure you bring your sponsors in to the club as soon as you can.